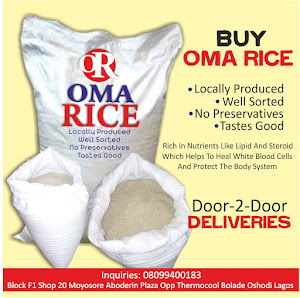 Prior to the creation of National Agency for Food and Drug Administration Control (NAFDAC) in 1992, the control and regulation of food, drugs, cosmetics, Chemicals and packaged water was seriously hampered by bureaucratic bottlenecks among other factors. The decision of the Federal Government to create the Agency in 1992 was therefore informed by the desire to ensure a more effective control of foods, drugs and other regulated products. In December 2016, NAFDAC under the leadership of Acting Director-General, Mrs. Yetunde Oni confiscated imported fruits juice worth millions of Naira in Onitsha, Anambra State; when the operatives of NAFDAC raided some markets and super stores in Onitsha. Some of the fruit juices confiscated were labelled Masafi, Euro drinks and Peach. The Onitsha raid was in line with Federal Government’s ban on imported fruit juices and other products and it really achieved her aim of strengthening local industries and increase activities in the fruit juice manufacturing sector. It is a fact that local production would reduce the foreign exchange put into importation of goods, so the activities of NADFAC is aimed at developing the local industry in Nigeria. Hence, on Tuesday, 24th of January, 2017 the agency destroyed substandard pharmaceutical products in Igwurita, near Port Harcourt, Rivers State. The destroyed products, stored in 21 containers were seized by the Nigerian Customs Services and NAFDAC and it is valued at N9.6 billion. You can imagine if those fake pharmaceutical products such as Tramadol capsules of 100mg, Diclofena Sodium Capsule 50mg and Diahhea Stop 2mg, Oxyetracycline Hcl 50mg, Sildenafil tab mg, Diclotemac 40mg, Caffeine 30mg and conditioning preparation all imported from India and Nordana, USA have gone into the market, millions of Nigerians would have died consuming them. The N9.6Billion would have gone a long way to establish manufacturing companies and employ millions of Nigeria in the production of such genuine drugs. So, Oni, deserves accolades for the role she played during the reported case of “Plastic Rice” impounded by Nigerian Customs. She took quick action by putting the rice under laboratory test and discovered that the rice was not plastic as speculated but contaminated with microorganisms above permissible limit, hence the rice consignment is unsatisfactory and therefore unwholesome for human consumption. Also, under the leadership of Mrs. Yetunde Oni, NAFDAC secured eight drug offenders in 12 months. And it is already in public domain that there are 52 cases in Court while eight convictions have been secured between February 2014 till date. Among those convicted are Okwara Emmanuel who was sentenced to three years imprisonment for manufacturing and sales of fake Rambo insecticide and Dettol Antiseptic; Osita Paul Ely was sentenced to five years for importation of fake Maloxine tablets; Sylvanus Ifeanyi Nwanoro was sentenced to five years imprisonment for manufacturing and sales of fake Cof-N-Cold with Codeine syrup; Clara Onah was sentenced to seven years imprisonment for manufacturing and sales of fake Metronidazole and Juliana Madu was sentenced with an option of fine of N5,000. I am happy with the directive of the Minister of Health, Isaac Adewole that NAFDAC should register all Small and Medium Enterprises, SMEs, exhibitors at the ongoing 1st Nigeria Food Safety and Investment Forum within two weeks. The directive given at the forum organised by the UN Industrial Development Organisation, UNIDO, in Lagos will boost local production and create massive employment to teeming Nigerian youths. The onus is on the Federal Ministry of Justice to take steps in ensuring the speedy prosecution of other offenders while I call on the Federal Government to provide for more funds so as to get more vehicles, equipment for laboratories e.t.c. At the same time, security agencies, especially the Nigerian Police should also provide water-tight security for the enforcement officials of NAFDAC as we have another hard working and dedicated Acting Director General overseen the activities of the Agency. 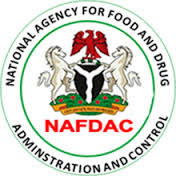 Also, Nigerians; who are the end users of fake drugs should assist NAFDAC by reporting notice of fake products so as for the agency to take necessary actions. There is a free text message number; 29543 available at no cost on the mobile networks for Nigerians to take advantage of. We must help NAFDAC to carry out her task which include improving access to quality medicines; preventing the influx of substandard products by anti-counterfeiting measures and system strengthening to sustain local manufacturing; use of information technology in the regulation of food, chemicals and other consumables amongst others.